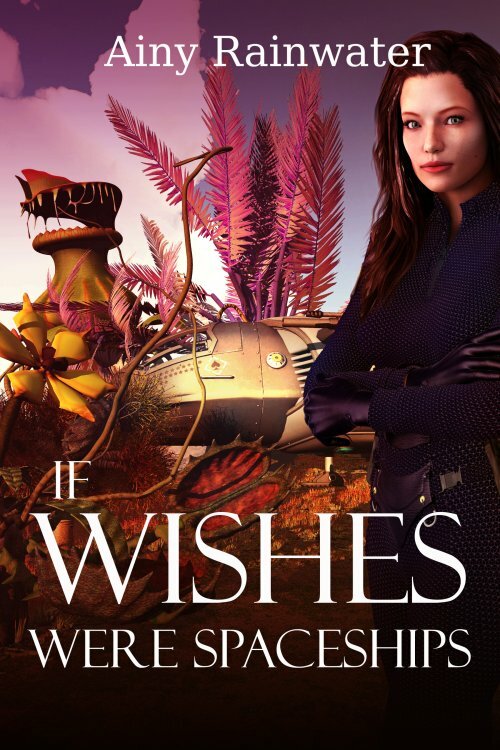 The newest novel by Ainy Rainwater, If Wishes Were Spaceships, is now available for pre-order for $4.99 from most ebookstores. It will be available from more stores by its release date of March 29, 2016. Pre-order your copy today! Amazon (US), Barnes and Noble, Apple, Kobo, Smashwords, Amazon Kindle (UK), Amazon Kindle (DE), Amazon Kindle (FR), Amazon Kindle (IT), Amazon Kindle (ES).